Marvel's Black Panther will most likely be the first huge box office blockbuster of the year, with a report from earlier this month revealing that Black Panther scored the biggest first day ticket pre-slaes in MCU history. Now the first box office tracking numbers seem to back that up as well, with the early projections putting Black Panther's three-day opening weekend between $100 million and $120 million, making it easily the biggest debut of 2018 thus far. If this projection is accurate, it could set a unique new box office record within the Marvel Cinematic Universe. If Black Panther manages to hit the high end of these these early tracking numbers, it will surpass Spider-Man: Homecoming as the highest-grossing MCU stand-alone debut. That movie earned $117 million, surpassing Doctor Strange as the highest-grossing stand-alone/origin movie, debuting with an impressive $85 million last year. Both Peter Parker/Spider-Man (Tom Holland) and T'challa/Black Panther were introduced in 2016's Captain America: Civil War. Of the 18 MCU movies that have hit theaters over the past 10 years, Black Panther will be just the ninth to debut over $100 million, and the fourth MCU movie in a row, following last year's Guardians of the Galaxy Vol. 2 ($146.5 million), Spider-Man: Homecoming ($117 million) and Thor: Ragnarok ($122.7 million). Unlike most Marvel movies, which most rival studios tend to avoid like the plague, Black Panther actually does have some competition when it hits theaters on February 16. Also opening against T'challa and the rest of his Wakanda warriors are Lionsgate and Aardman Animation's stop-motion adventure Early Man, and PureFlix's faith-based drama Samson. While it is slightly unusual for any movie to open against a highly-anticipated Marvel adventure, both of these movies make sense from a counter-programming perspective, since none of these audiences are likely to cross over one bit. While neither Early Man nor Samson will have any shot whatsoever at taking down Black Panther, they still could perform well. Black Panther also opens on the President's Day holiday weekend, which could provide another advantage, with kids potentially taking advantage of a day off of school to go see Black Panther. The movie has also been making some unusual headlines of late, with comedian/reporter Sara Benincasa offering any reporter $300 to ask President Trump about his stance on the fictional country of Wakanda from Black Panther, although no one has taken her up on the offer quite yet. It was also revealed by iconic Marvel Comics writer Christopher Priest that the character Everett K. Ross, which he created during his epic run on the Black Panther comics starting in 1998, was actually inspired by the Chandler Bing character from Friends, played by Matthew Perry. 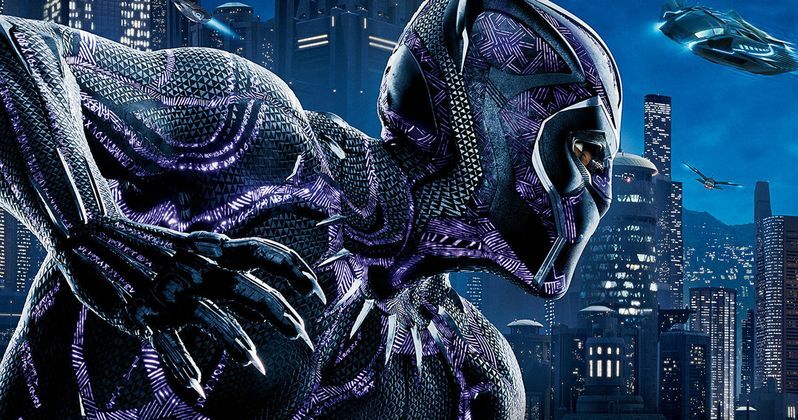 Black Panther could also just be the beginning, with producer Nate Moore revealing in an interview that Marvel hopes to move forward with several spin-offs and sequels to this highly-anticipated movie, but naturally, that all depends on how audiences respond to this first movie. Still, if Black Panther hits these projections, it could certainly be yet another huge hit for the Marvel Cinematic Universe, which is showing no signs of slowing down anytime soon, especially with what could be this year's biggest movie, Avengers: Infinity War, arriving in May. The Hollywood Reporter broke the news on these box office projections for Black Panther.